Leave your catfights and insults at the door please, MasterChef Australia returns to TEN on Monday May 7. It suggests TEN is confident that MKR will have a grand final on Sunday May 6 (that’s unconfirmed but looks to be on the money). This would see it compete with House Rules expected return….and maybe even Olivia? After searching the far corners of the country for Australia’s best amateur cooks, the brave, confident and fearless will stand together, facing a massive judges’ audition process, which will leave only the very best 24 home cooks standing. 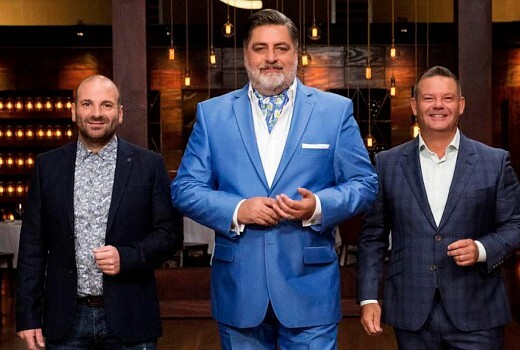 MasterChef Australia promises a season full of surprises and boasts some of Australia’s and the world’s best chefs including Maggie Beer, Curtis Stone, Adriano Zumbo and domestic goddess Nigella Lawson. And for the first time, internationally renowned Michelin-starred chef Gordon Ramsay will enter the kitchen, keen to keep the Top 24 contestants on their toes. Monday, 7 May at 7.30pm and continues Tuesday, Wednesday and Thursday. Cant wait and Im looking forward to Gordon and what he does and also see what ridiculous things the contestants have to make in the elimination challenges. Love the show, a viewer since day dot. But am worried it’s run its race and may head back into 2013 (600-700k) territory? House Rules was surprisingly dominant over The Voice / MasterChef last year. Unless MKR does an elimination every night, I can’t see it finishing by then? Which means Ten will have to do some amendments. With MKR, ridiculous a show that starts in January finishes in May! The flamboyant judge on House Rules does it so much better than Preston. Sorry, Jamie is the other Supermarket ! I just wish the judges would somehow make the contestants more accountable for wastage. In the real world, making each dish three times before you get it right would send any restaurant broke. Then they are awarded high praise as if they are great. Look in the bin ! & They should definitely ban ‘deconstructed’ dishes. It is a big part of being a chef, to know and display balanced quantities of each element. Allowing messy looking piles of food , lets the contestant get away without balancing the whole dish, especially if near the finals. I imagine that any food not used would be demolished by the crew, provided it hasn’t hit the bin first. But I agree, an awful lot of food seems to be wasted. And what happens to that pile of fresh ingredients in the pantry that’s not chosen to use? They have used Foodbank and Second Bite to recycle. I like Maggie Beer, she is always sweet to the contestants. But her products are a total rip off & exhorbitantly expensive. Can’t imagine who can afford to buy them. If you mean Nigella Lawson she is on this year.